The 88th annual Academy Awards take place this weekend, meaning a number of Hollywood's biggest names will gather to celebrate the last year in film. Perhaps as an effort to get into the spirit, Montreal pop artist Alex Calder has transformed himself into Quentin Tarantino. 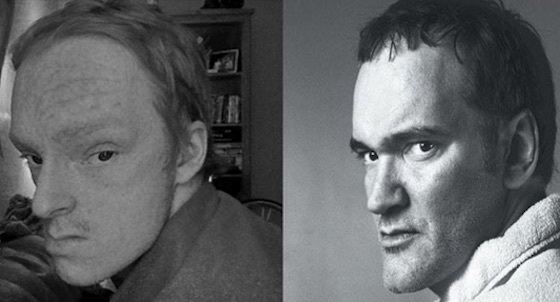 The Captured Tracks signee launched a new Instagram page called "alexasquentintarantino," and it's really as simple as that — every day, he plans to post a photo of himself that's edited so he has the same unique face shape as the iconic director of The Hateful Eight. As you'll see in the images above and below, the results are somewhat haunting. In fact, we think Calder would make a great seat-filler for Tarantino when the awards show rolls around this weekend.